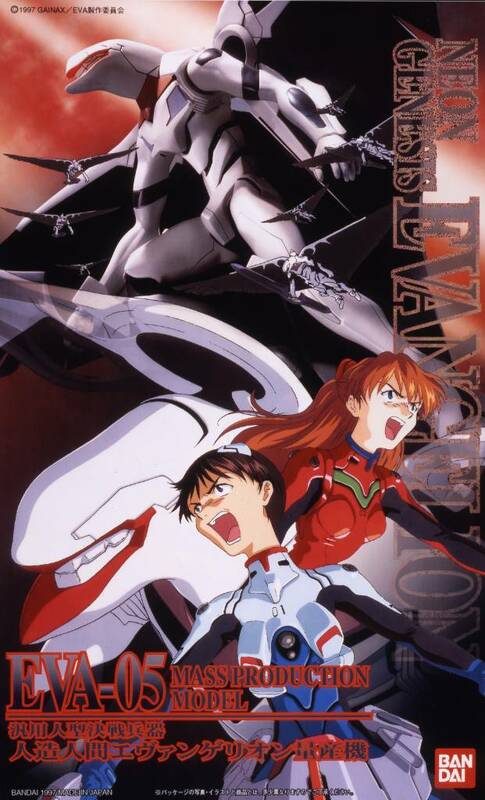 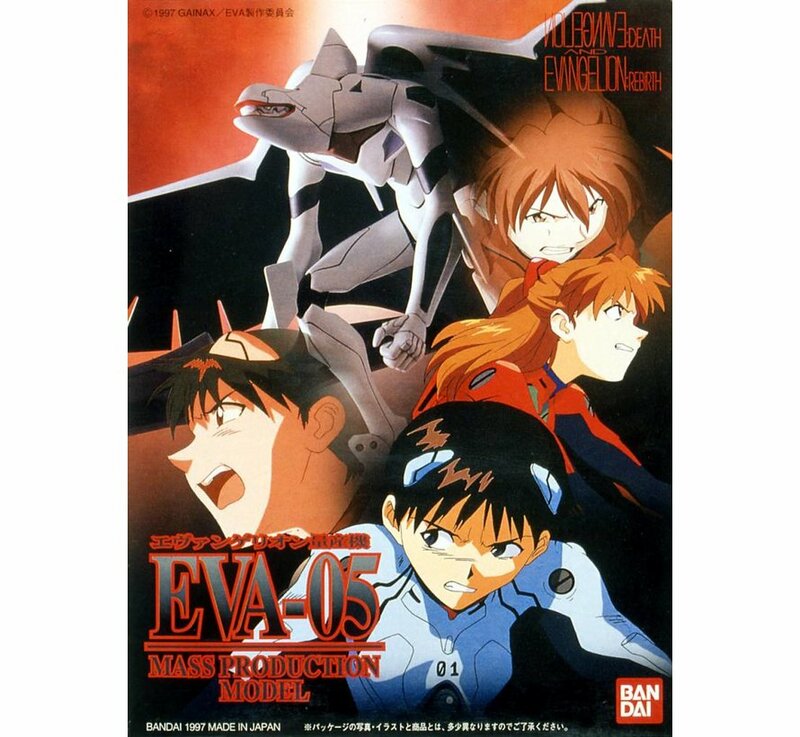 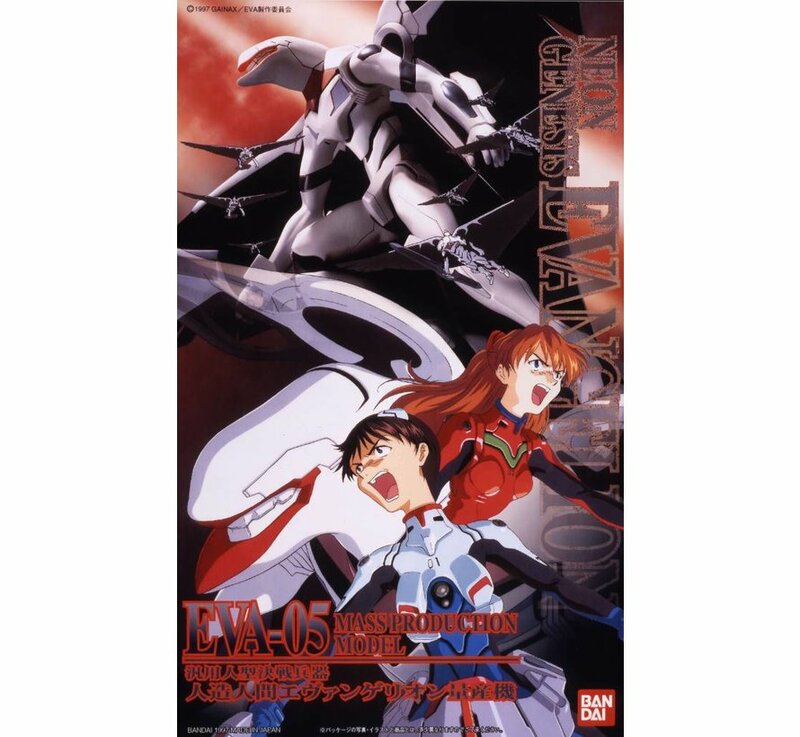 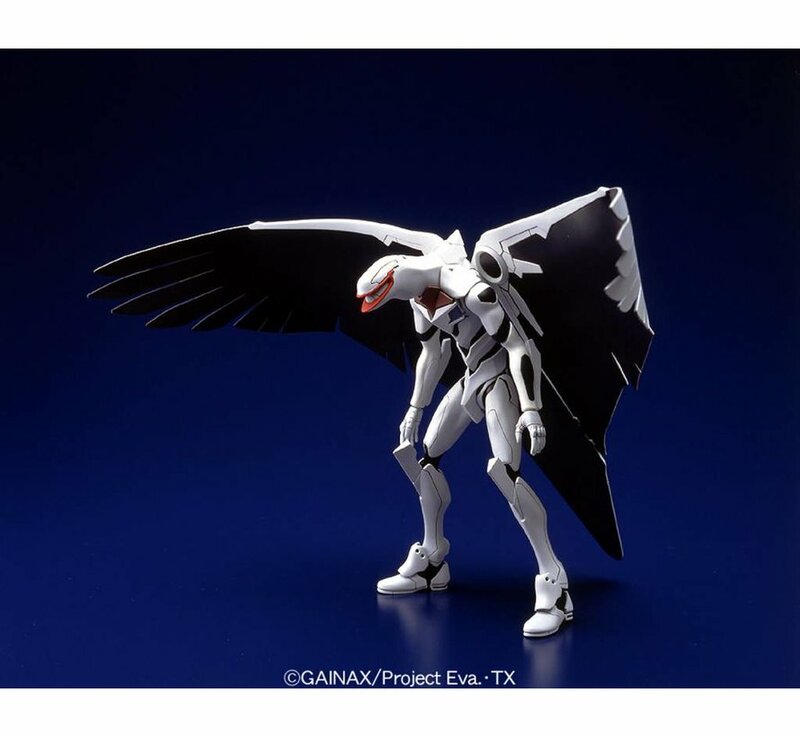 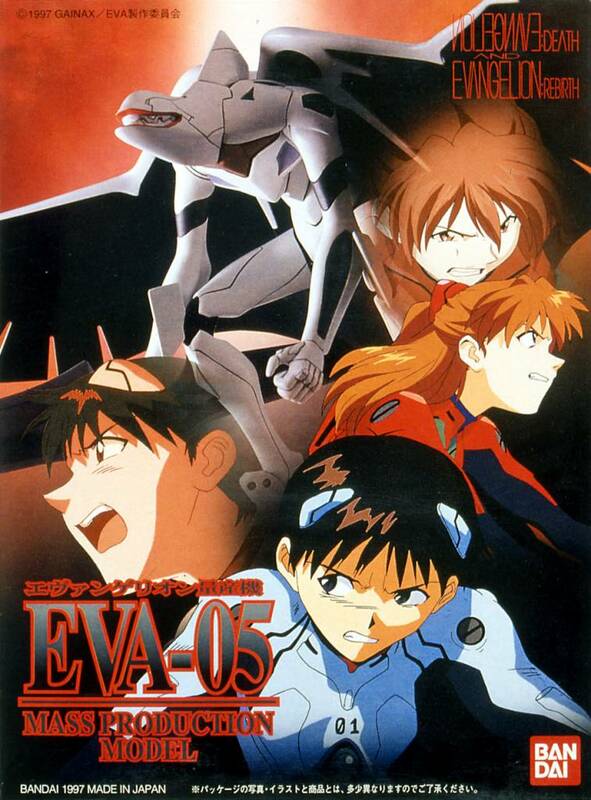 This EVA does not appear in the TV series, but debuts in the Evangelion: Death and Rebirth film. 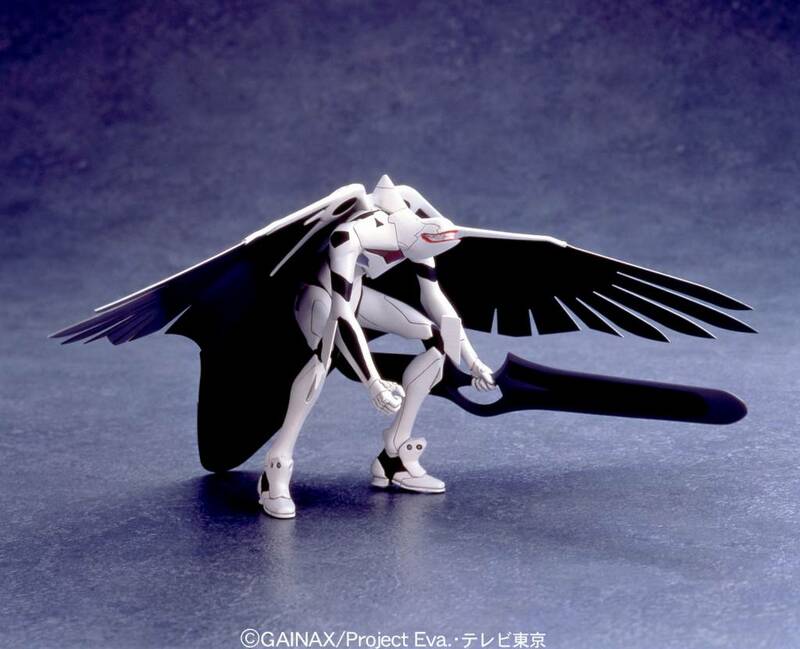 This in an LM-HG grade kit, though it does not include the flexible arm parts. 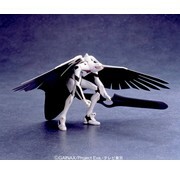 Comes with those massive wings that attach to the back (they measure a full 50cm across when completed!). Also includes two versions of the head (see below) as well as figures of Asuka in her yellow one-piece and Ryoji. 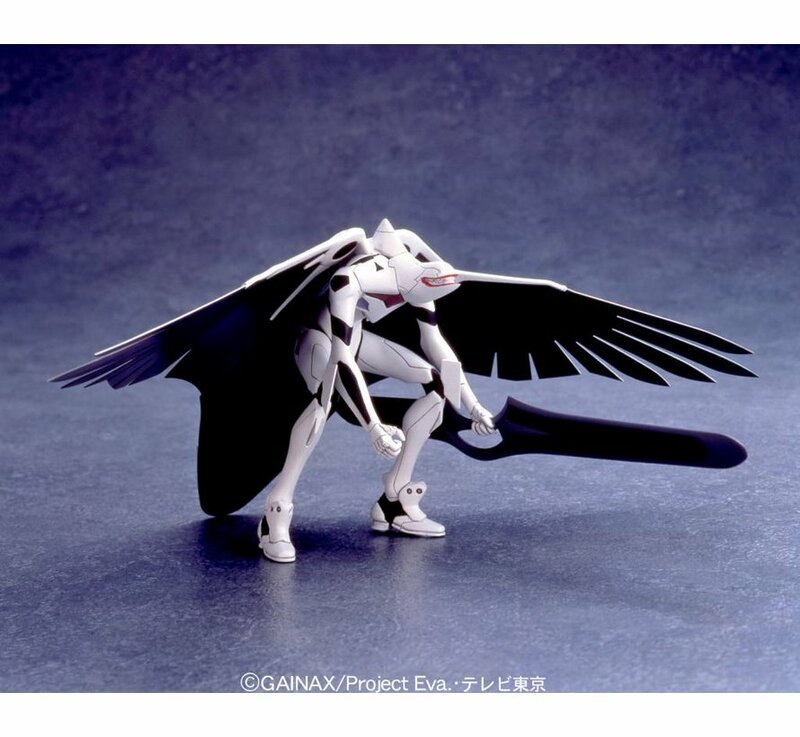 Fully-posable with numerous accessories. Snaps together, and is molded in the final colors of the figure, but some touch-up painting will significantly improve the final appearance.